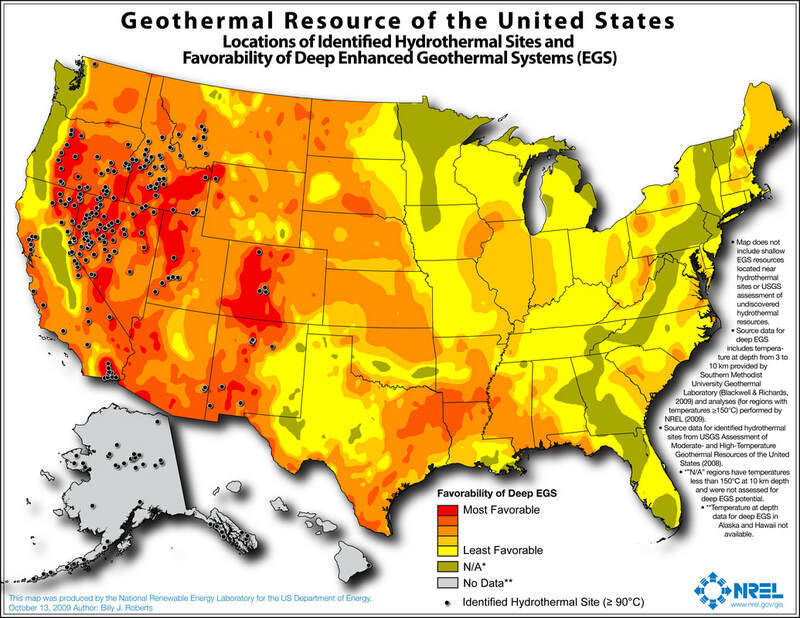 A map showing potential areas having high geothermal gradients with identified geothermal energy sites. 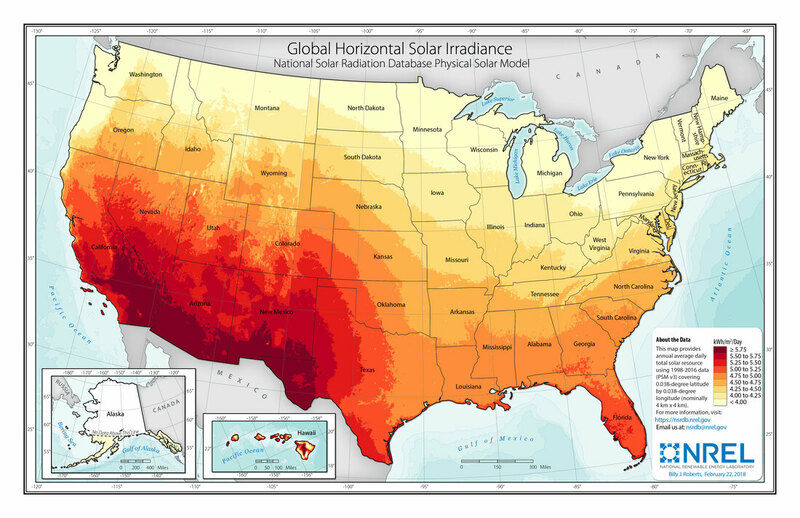 Map showing the average wind speeds at 100 meters above ground. 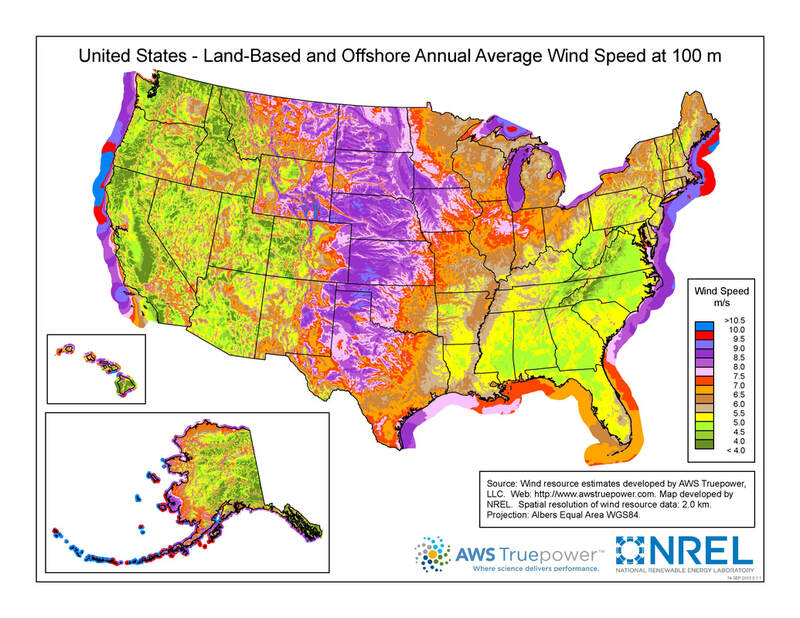 This maps highlights areas of higher average wind speeds favorable for wind energy.